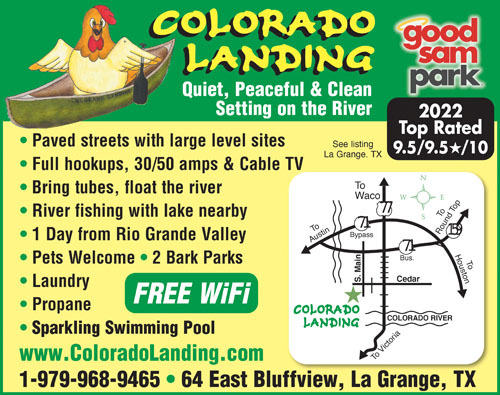 Large shaded pull-thru sites on a peaceful setting by the Colorado River. Beautiful swimming pool, river fishing, free WiFi and cable TV. In historic La Grange Texas, where giant live oak trees drape the streets. We arrived on Feb 16, 2018. 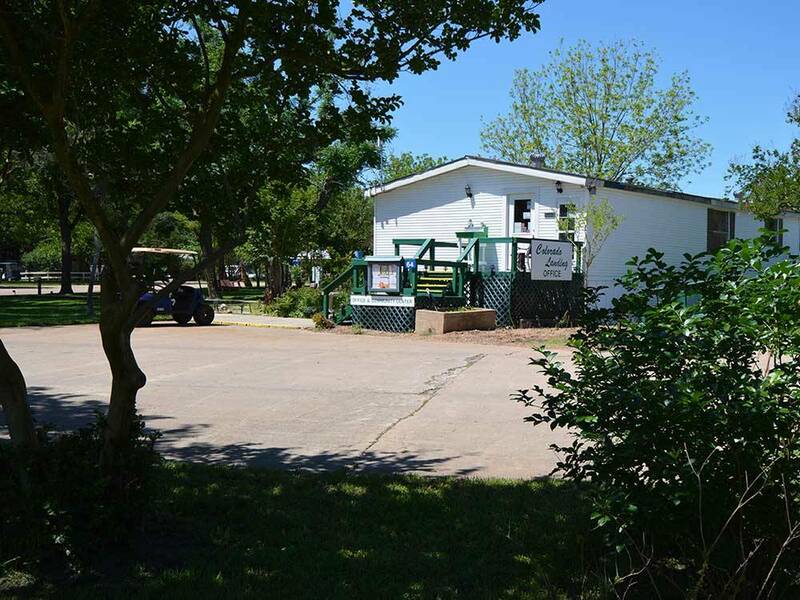 We came to assist in the rebuilding process in the area in the aftermath of Hurricane Harvey so we knew the RV park had been affected by the floods. We were very pleasantly surprised at how well the park had recovered. And we were amazed by the size of the lots and the access road in and around the park. We had a very strong, uninterrupted wi-fi signal the entire time we were at the park which was very important as we were still running our businesses back home while we were away. The staff was attentive and accommodating. Very comfortable stay. One of our very favorite parks (and we've stayed in a lot of RV parks)! Would recommend this RV park to everyone! Whether it's boating or fishing on Lake Fayette, there is plenty of water fun for everyone. Statewide fishing tournament surveys consistently rank this lake at or near the top for largemouth bass. Boat ramp and fishing pier.